The U.S.S. Salamonie served her country from 1941 until 1968. 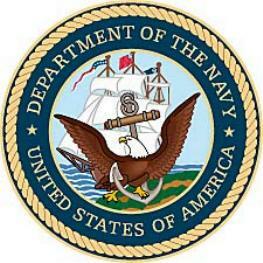 This site is dedicated to her memory and to the memory of her officers and enlisted men. 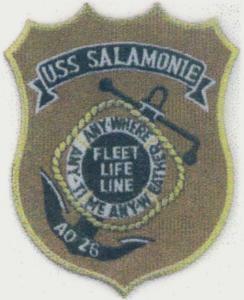 USS Salamonie or as a means to register your visit to this site. 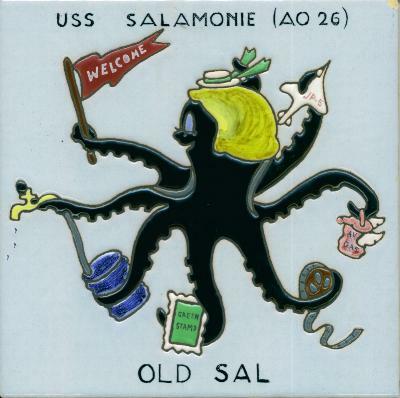 "The NEW and only Officially recognized web site of the USS Salamonie"
Please sign in with our Guest Book at the bottom of this page. NOTICE: The PICTURES portion of the web site has been down for some time but I have repaired the problem and it is working again. The old screens scrolled but Homestead discontinued their use. I've reformatted the pages. You're invited to visit them. Click on the PICTURES link. Items and articles previously on this page can now be found on the new ARCHIVES page. *This was voted on last year with highest interest noted.